​The interior of Lancaster’s most prestigious private social club, in a building dating back to 1890, was no longer viable for the changes and uses of the club in modern times. 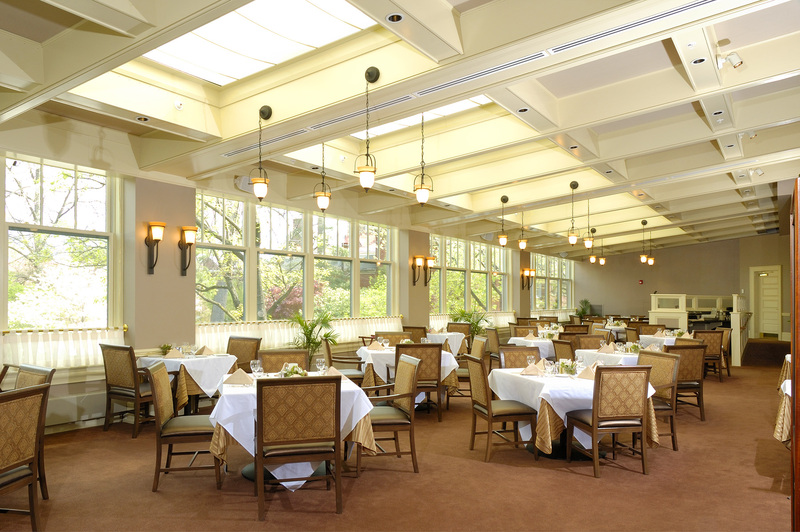 Updates were needed to accommodate new member amenities such as health and fitness centers, larger dining areas, modern restrooms, large function spaces with bars, and an overall less formal, less dated atmosphere. Infrastructures such as HVAC also needed to be replaced. This new, larger dining room is one of the many improvements. It is filled with natural light during the day, from windows that take advantage of being on the northern wall and skylights in ceiling. 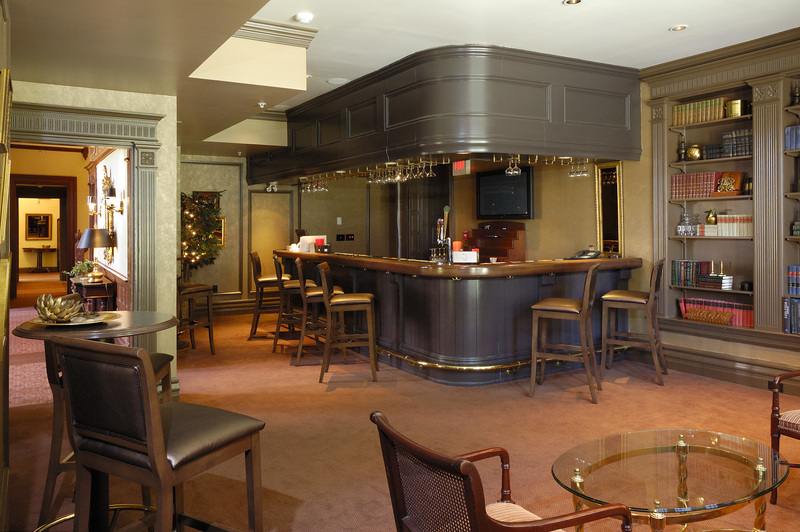 This new bar area reinforces the historic period of the original building throughout the use of paneling and wood treatments throughout the room. Furniture is selected for a combination of comfort and character, while soft muted earth tones in fabrics and finishes provide a relaxing atmosphere for people to linger and socialize. The new bar is three times larger than the original bar. That, combined with more tables and seating, makes this a popular area of the building with four times the capacity of the older space. 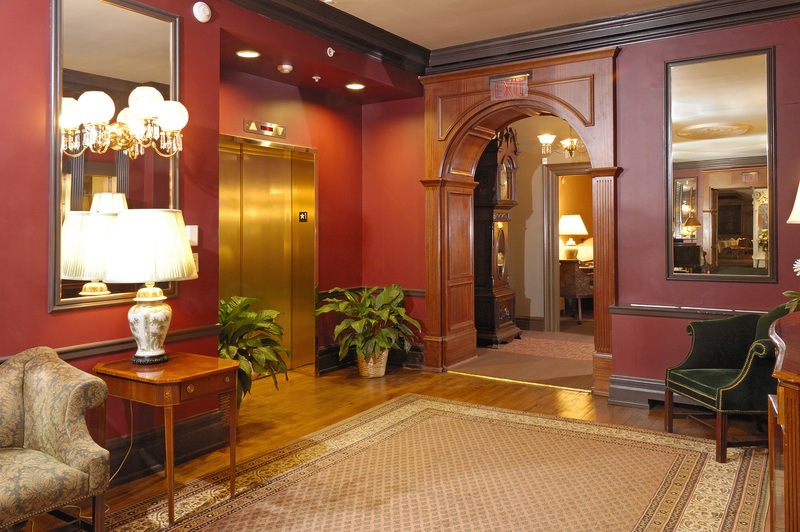 "Peacock Alley," the main corridor to the dining room, has a new state-of-the-art elevator with programmable controls that allow hospitality staff full use along with limited member access. The new color scheme brightens the area with a fresh elegance complimented by new dark-stained flooring. Interior walls and spaces were moved to make room for the new staircase to the lower level casual dining and recreation area. 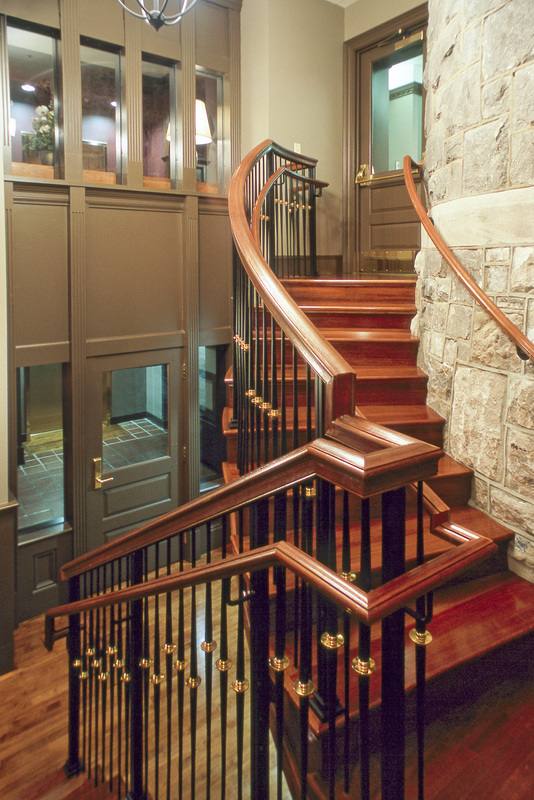 To meet codes, fire-rated materials are used in the stairs, cleverly disguised as historic-looking details, rails, and materials that retain the richness and elegance of other interiors in the building. The stone tower that wraps the staircase had originally been an exterior wall that was uncovered during the renovations. 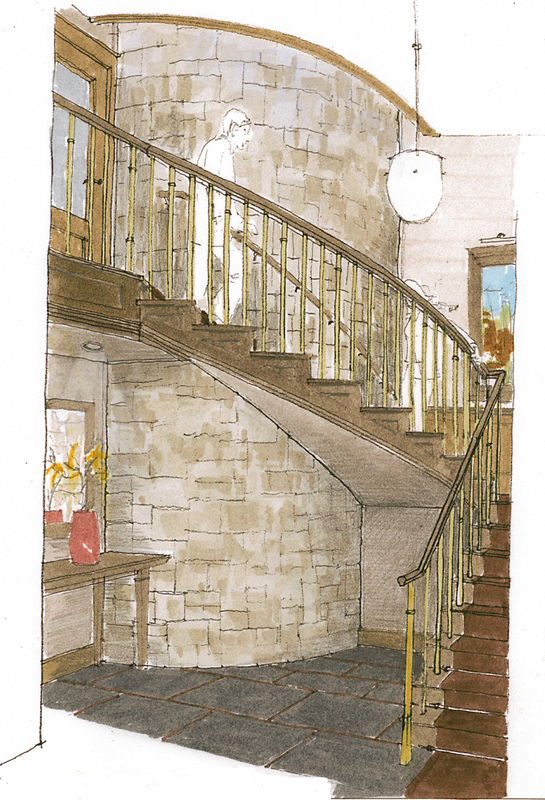 A schematic rendering of the staircase shown above was done early in the design process to provide a visual reference for members to see the scale of the area, including the pendant lighting that is an important design element. The rendering was part of the initial planning study and presentation materials. New interior design schematics were done for all public areas of the club renovation prior to the implementation of any work. 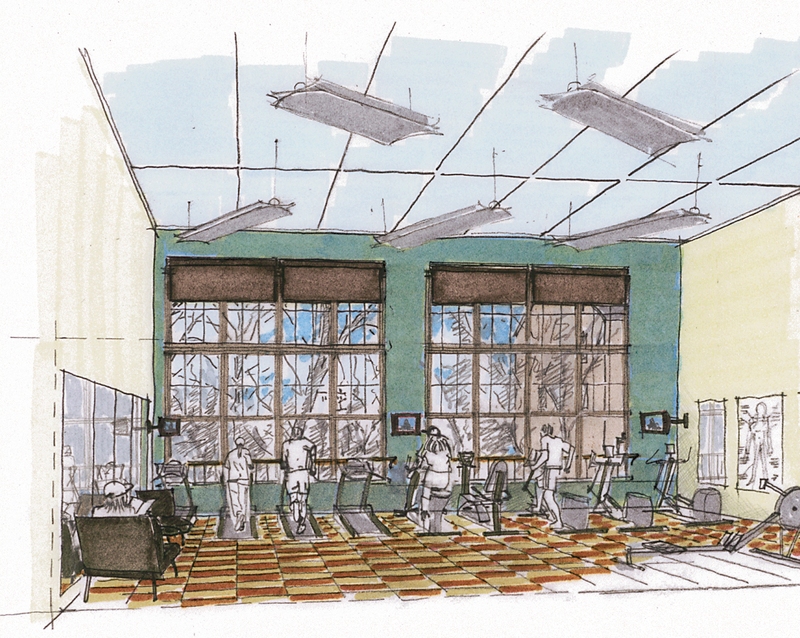 This design shows the new health center and fitness area located in the second story addition. Large windows provide a panoramic view of the urban landscape. The northern exposure fills the fitness center with natural light during the day.